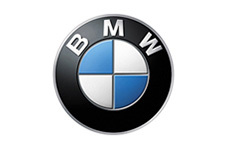 German premium carmaker BMW is taking to the stage at the 2014 Paris Motor Show with the latest results of its ongoing model push, revealing even more ways to experience the brand’s hallmark driving pleasure. Europe’s most important car show of the year, which opens to the public from 4 – 19 October 2014, will host the world premieres of two new models: the BMW 2 Series Convertible and the new BMW X6. With the introduction of the all-new 2015 BMW X6, the company celebrates the second generation of the world’s first-ever Sports Activity Coupe. 2013 BMW Individual X6 Performance Edition and 6 Series Frozen Silver Edition Coupe. BMW of North America announced today the 2013 BMW Individual X6 Performance Edition and the 2013 BMW 6 Series Coupe Frozen Silver Edition. There will be only 100 copies of the BMW Individual X6 Performance Edition and 55 copies of the BMW 6 Series Coupe Frozen Silver Edition. BMW today revealed the first images and information about the newly updated 2013 BMW X6 Sports Activity Coupe which arrives in US BMW Centers this spring. BMW’s first hybrid model, the ActiveHybrid X6 combines the Sport Activity Coupe concept with full hybrid drive to create the most powerful hybrid vehicle on the road. It blends an industry leading combustion engine with electric motors to create a powertrain with new levels of performance and efficiency. The new BMW X6 - Driving scenes. The new BMWX6- Interior Design.